Pesto is the product that represents Liguria in the world. This sauce is full of history and tradition, and its recipe has been handed down from generation to generation. When in Genoa, you cannot miss an authentic food tour to discover pesto! With this experience, you visit the historic family-owned greenhouses where the delicious basil is grown, and you join a cooking lesson to make pesto in the traditional way with mortar and pestle. And finally, you get to enjoy a Ligurian lunch with pesto and other specialties. It is literally a field-to-table journey that will bring you closer to the traditions and pride of Genoa. Why is Genoa’s basil so special? The microclimate of the Italian Riviera has created the ideal conditions to grow a delicious, high-quality basil in Liguria. But the unique conditions of some sun-kissed areas, such as the Pra’ district in western Genoa, have further elevated the characteristics of the locally produced basil. In fact, the sun exposure of the terraced hills, the vicinity to the sea and the Tramontane breeze from the Appennino Ligure, make Pra’s basil unique for the delicacy of its fragrance and intensity of its flavor. As a result, Genoa is considered the capital of Basil and Pesto, and the “Basilico Genovese” is protected by the European Union with the Denominazione di Origine Protetta (DOP) certification. If you want to explore this cultural and economic identity of Liguria’s capital, you have to visit the greenhouses where basil is grown. Serre di Pra’ are the greenhouses where basil has been grown from the 1830’s. The buildings are located between Genoa’s port and the hills. With the food experience called “Pesto from Farm to Table” you get the opportunity to visit one of these historic, family-owned businesses. During the visit, you will be able to appreciate the unique organoleptic characteristics of the basil grown in the Pra’ district. In addition to its delicate scent and rich taste, it is distinguished by its medium-small leaves with a convex form and faint green color. You will see the different stages of cultivating basil, from sowing the seeds to the harvest and the processing of the herbs. Witnessing the way in which the plants are harvested with patience, care and dexterity – as the operators lie down on planks – is a truly authentic experience. Just entering the Serre di Pra’ and seeing the green carpet of basil plants, is a wonderful sight! It is important to mention that, even though some aspects and principles in the cultivation of basil have remained the same throughout time, the Serre di Pra’ have equipped themselves with innovative technologies to improve quality and prevent plant disease. The respect for the environment and the use of natural processes are at the heart of the technology applied in the greenhouses. Once gathered, the basil – composed of the leaves on the stem and a bit of soil at the bottom – is wrapped in small bunches called “bouquets”. These are ready to be commercialized for retailers, caterers and restaurants. But what is the correct way to pick the leaves off the bouquet and prepare the world-famous pesto? Pesto Cooking Lesson: get busy with mortar and pestle! 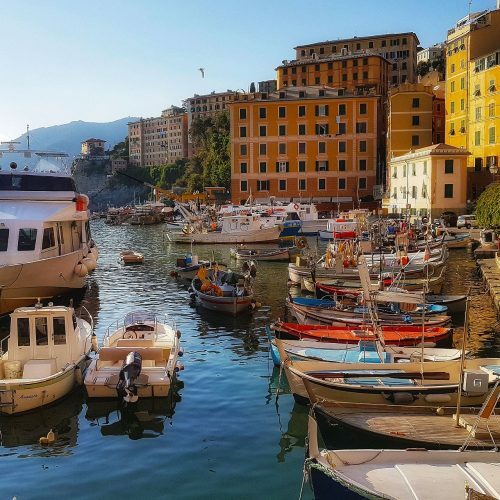 The second part of the “Pesto from Farm to Table” experience takes place in Genoa’s historic center, in another setting that has made the city famous around the world. Your cooking lesson is set in an elegant room on the piano nobile of a building that belongs to the Palazzi dei Rolli. The Rolli were special lists of the most prestigious buildings used to host illustrious guests of the Republic of Genoa, compiled in the 16th century. Some of these buildings were inscribed in the UNESCO World Heritage List in 2006, along with the Strade Nuove (a group of streets built by the Genoese aristocracy). A local culinary expert will guide you throughout the lesson, explaining how to pick the baxeicò (Ligurian for basil) leaves and how to crush them just as the tradition wants, with a marble mortar and a wooden pestle. You will learn how to use and mix the carefully selected ingredients, including the DOP Genoese basil and DOP extra-virgin olive oil from the Riviera Ligure. Following the lesson, you will enjoy a delicious lunch with pesto and other genuine specialties from Liguria. 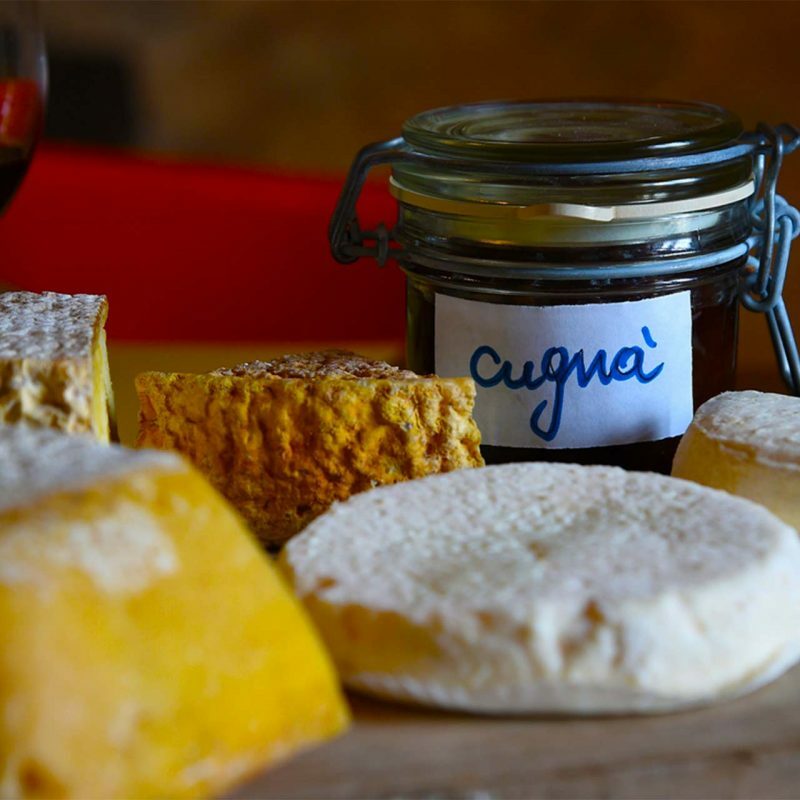 For more information on this foodie tour, please visit Genoa Pesto Experience: from Farm to Table or contact the team at Beautiful Liguria. Next PostWhat to eat in Cinque Terre?